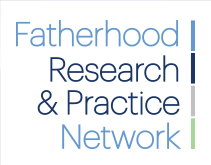 Do fathers report better relationships with their children’s mothers following participation in your program? Do fathers who take part in your employment services show greater earnings post program, and perhaps better compliance with child support? Do fathers served by your program spend more time with their children post program or are they more satisfied with the time they spend? How were program participants to be recruited and how were they actually recruited? How many participants were to be served and how many were actually served? What types of participants were to be enrolled and what types of participants were actually enrolled? What services were participants to receive? Were these, in fact, the services provided? Were the services provided of the same duration and format as determined during the planning stage? In what ways, if any, did actual service delivery differ from the proposed service delivery? Did participants receive services from community agencies that operate independently of your program? What type of staff training and oversight was planned and what was put into place? What obstacles to recruitment were encountered? What barriers to service delivery were encountered? Did partnerships with other agencies work as planned? The answers to these questions can help you determine whether there were ways in which actual program operations differed significantly from what was planned. Since most programs will deviate to some extent from what is initially drawn up on paper, understanding the differences can help you to think about how changes in the program might have impacted the outcomes.